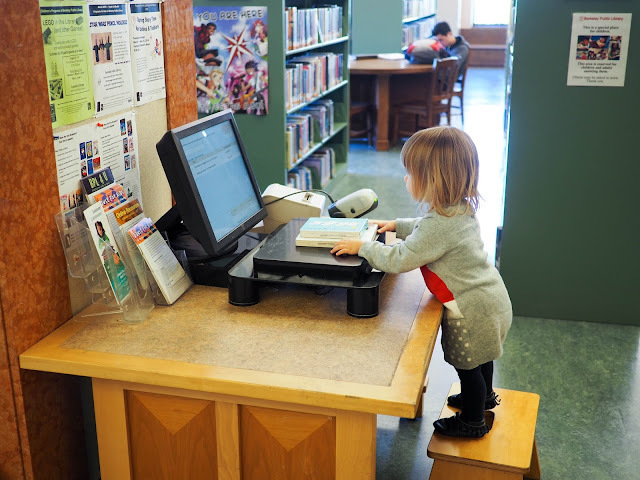 Little Hiccups: We Love the Library! When I was a kid I was a big reader. I read a LOT. There was nothing I liked better than climbing up a nice big tree and settling in with a book for a few hours. Visiting the local library was always something that I enjoyed as a kid. I grew up in a small country town, and our town library and the school library were one and the same. Whether I was visiting the library with my Mum on a weekend or going with my class at school, the library was a place where I really felt at home. 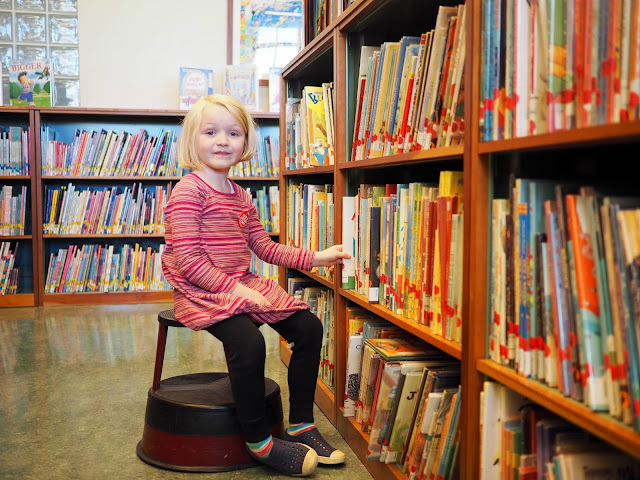 I have so many happy memories of my time spent in the library as a kid. Rainy lunchtimes spent with school friends reading together or playing board games in the library. My brother and I borrowing the same Disney book over and over so we could trace over the pictures. My friends and I checking out the card in the back of embarrassing books to find out who had borrowed them! The library was also a place where I felt so grown up. It felt like such a grown up thing to look through the library catalog cards to find a book. Or to look through the non-fiction books to find a new book about horses - I was a bit obsessed! I'll never forget how grown up I felt when I was given permission from the librarian to borrow books from the high school section even though I was still in primary school. I'm pleased to say that all three of my kids have a love of books (even if two of them can't actually read yet!) and enjoy visiting our local library just as much as I did as a kid. Times may have changed and our local library may be a little more high tech than my childhood library, but that feeling of joy when finding a good book is still the same. 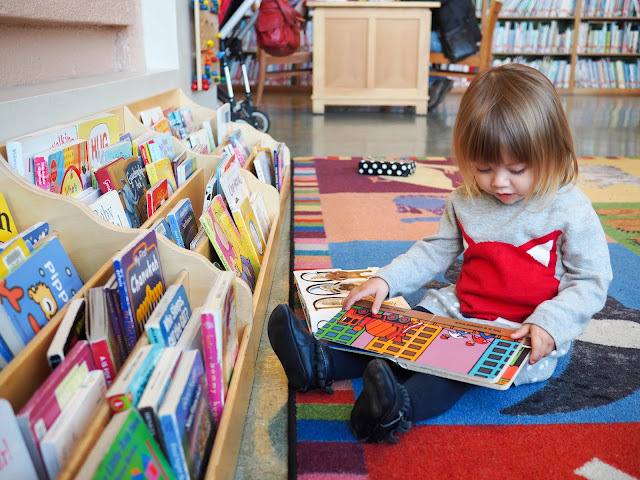 Yesterday we visited our local library after school like we do regularly. As usual, we headed straight to the children's floor and the girls spread out to find books for their reading level and interests. Mathilde made herself comfortable on a rug with board books about trucks, diggers and dogs. Lola perused the picture books looking for familiar characters and colorful illustrations. Ava headed straight to the computer to look up the location of favorite comics and chapter books. This time though, there was something different about our visit. Something that made our visit a little more special. 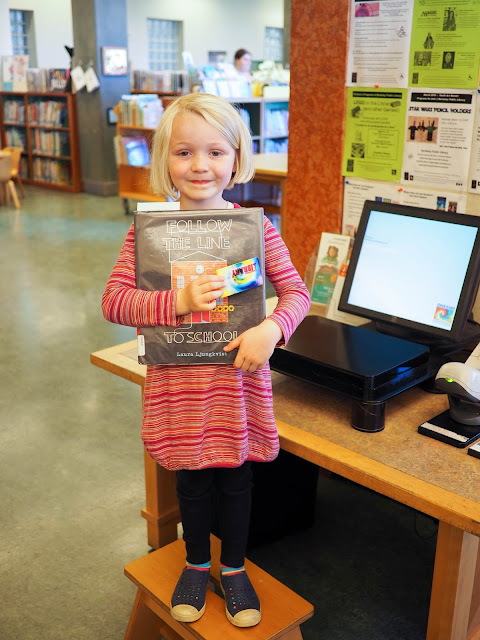 This time Lola was getting her very own library card! She has been wanting to get her own library card just like her big sister for such a long time. 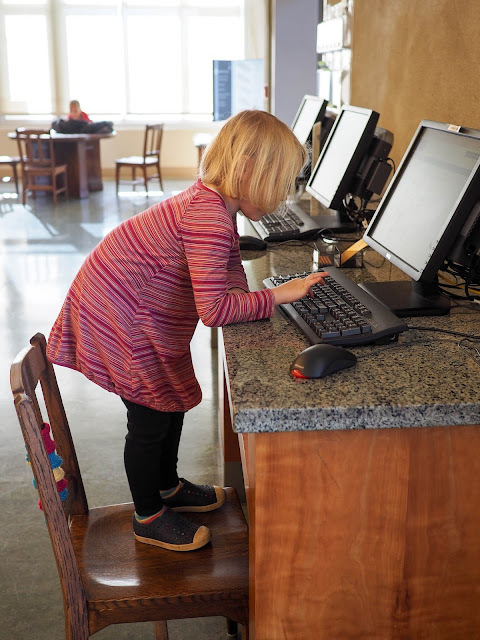 My childhood memories of feeling so grown up at the library came rushing back to me as I saw Lola's face light up as she entered her details into the computer, signed her new card and borrowed books with it for the very first time. She was so pleased about getting her own library card. 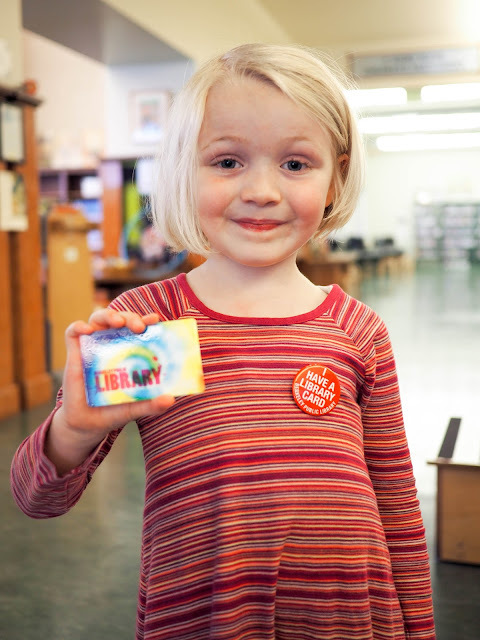 She was even happier when the librarian gave her a special badge to wear. 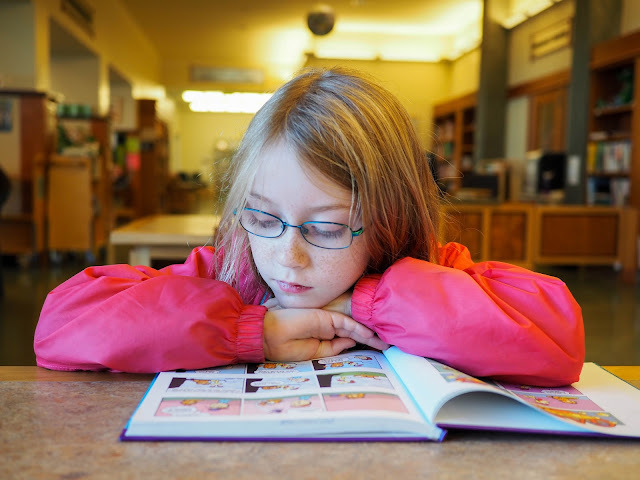 Encouraging my kids' love of books is easy and something I enjoy doing. By reading with them daily and taking them to our local library regularly their love of books continues to grow. 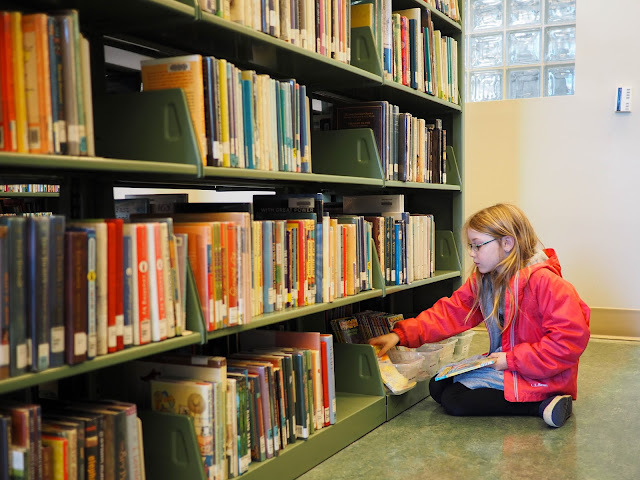 Letting the girls have a little independence in the library encourages them to be avid readers. They choose the books that they'd like to borrow, they use the computers to find what they're looking for, and they check their books out themselves. Of course, for Mathilde this all requires a little help, but even at such a young age she loves being able to do these things (mostly) by herself. 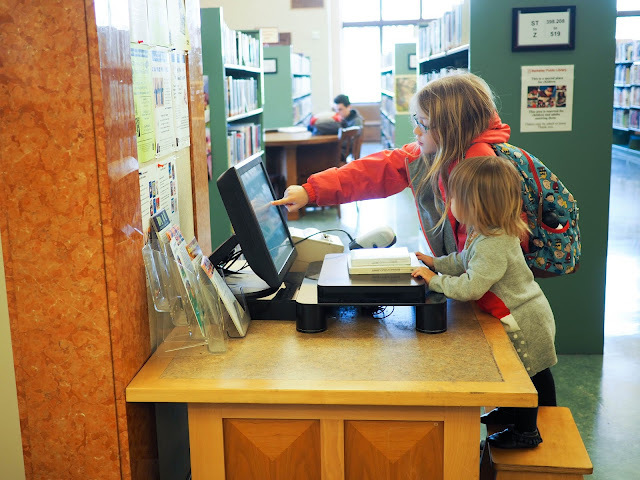 When we visit our local library we like to throw in a little non-book fun as well. 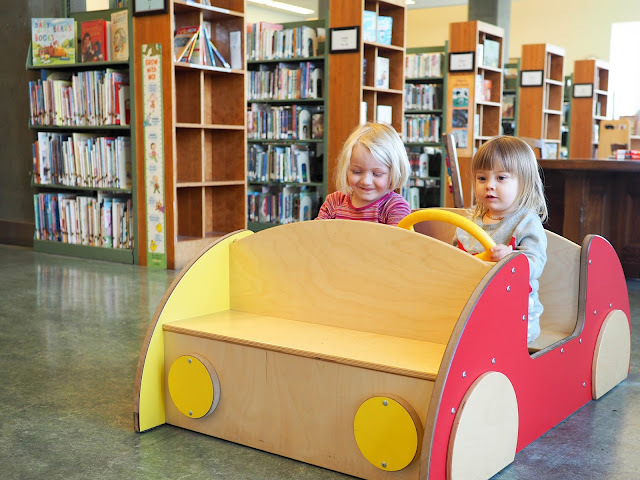 Lola and Mathilde like to "drive" the wooden car and play with the puzzles and play kitchen. Ava and Lola like to chose a couple of DVDs to borrow as well. 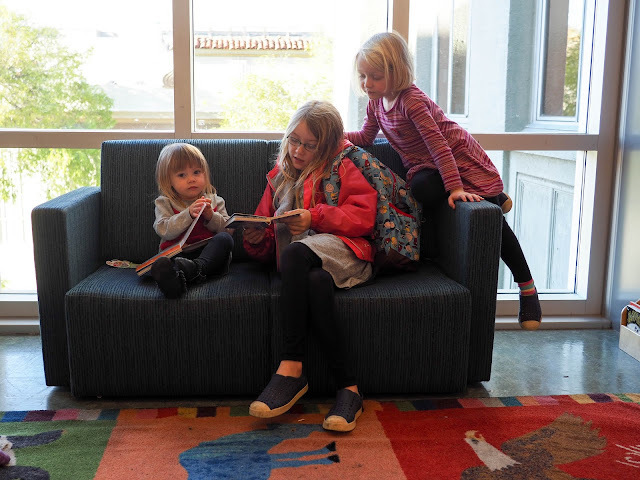 By making sure that our visits to the library are fun, my girls are encouraged to keep on coming back. And wanting to go to the library is always a good thing! 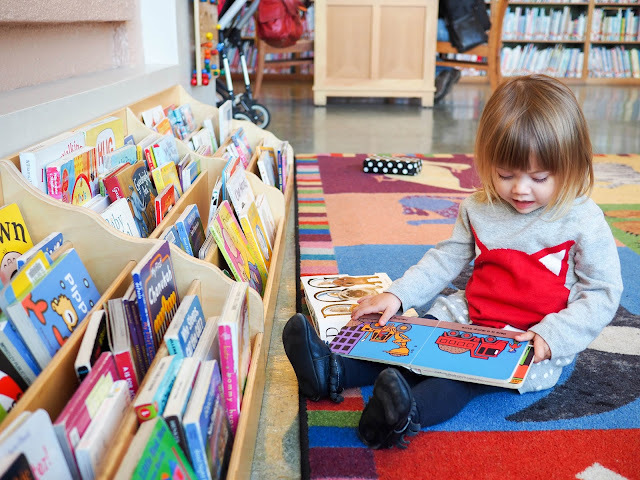 For tips on enjoying books with your little ones visit First 5 California, a trusted and free resource for parents and caregivers. Through their Talk. Read. Sing® campaign, First 5 California helps parents and caregivers understand the importance of talking, reading and singing to (and with) babies and young children. Their Activity Center is a great resource full of fun, age appropriate activities for young children and their Learning Center is full of useful information for grown ups. And go get yourself and your kids to your local library! It's a great place for building memories.